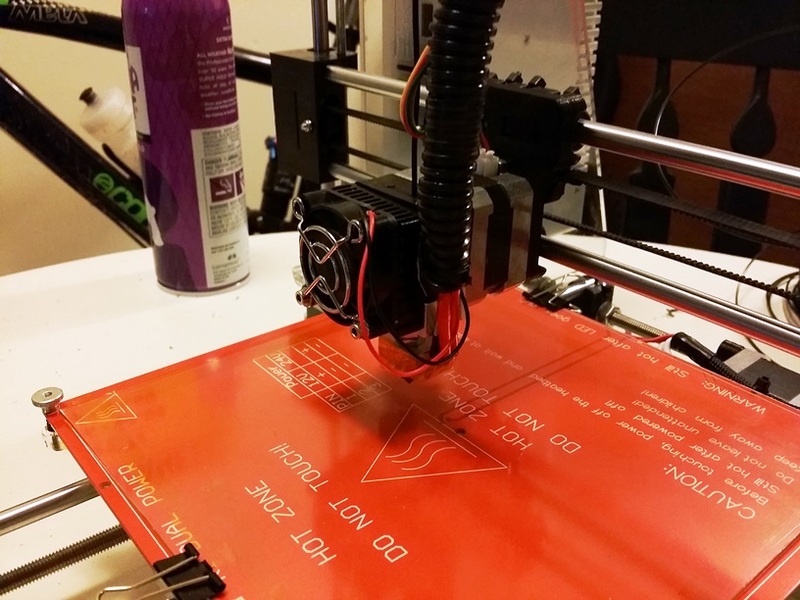 The Folger Technologies Prusa i3 is a great beginner kit combining the simplicity of an erector set with the power of a much more expensive desktop printer. The kit comes with everything you need to assemble the 8 cubic inch print area machine (with the exception of an 8"x8" glass surface). With the use of a few simple tools and a little bit of time you too can get started 3D printing the worlds next big idea. Lead Time: 5 to 10 Business days. LCD screen with adapter for RAMPS 1.4 controller board. Includes SD card reader, buzzer, stop button, and turnable knob that also acts as a button. Complete Set of Black Printed Plastic Parts. [Made in the USA]. 12 x LM8UU Linear Bearings (2 spares). 3 x Steel Motor Mounts. 8mm Chromed Linear Rod for X, Y, Z (Pre-Cut). 1 x Dual Power 12v/24v Heated Bed. 1 x Direct Drive Extruder w/ Injection Molded Parts for 1.75mm ABS/PLA. [Made in the USA]. 360W 12v 30A Power Supply. 4 x NEMA 17 2.6kg/cm Stepper Motors. 1 x NEMA 17 4.8kg/cm Stepper Motor (Used for Bed). 2 x Meters of GT2 Belt. 2 x 20 Tooth Pulleys. 1 x Arduino Mega 2560 R3 Clone. 5 x A4988 Stepper Drivers (1 Extra). 1 x Roll of 8mm Kapton Tape. 3 x Electronic End Stop Circuits w/ LED. 4 x Threaded Bed Adjustment Knobs. All Required Nuts/Bolts for Assembly. Impressive 203 x 203 x 178 mm Build Area. Can run 110V or 220V (Only Comes With US Cord). 8x8 Glass Print Area (Lowes or Home Depot). Affordable shipping cost: $0 USD to USA and $60 USD to other countries.